On January 4, 2016, Sheriff Jewell Williams was sworn in for a second term of office. This is a report on the ceremony from CBS3 Eyewitness News. Sheriff Jewell Williams talks with a reporter about how one family took illegal possession of a house and was arrested for it. PHILADELPHIA (AP) - A Latino has reached the rank of captain for the first time in the 300-year history of the Philadelphia Sheriff's Office. Capt. Michael Bastone was among five men promoted by Sheriff Jewell Williams. The office says Bastone scored the second highest of those who took the test. He's been with the sheriff's office for 25 years. Bastone said in a statement that he was humbled. 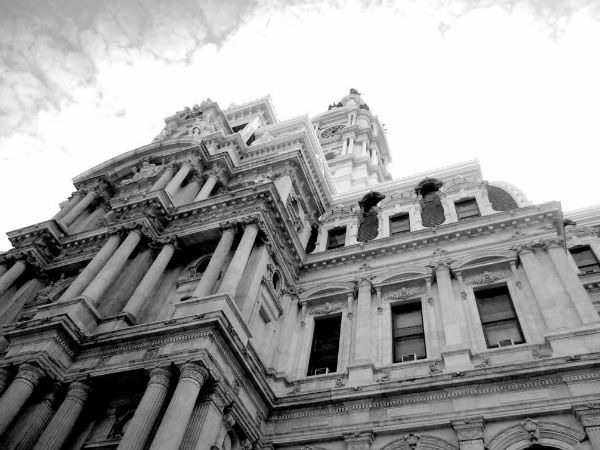 Payments to Philadelphia's city treasury and utilities, from mortgage foreclosures and delinquent tax, gas and water bills, surged to $58.3 million last year, a 40% jump from $34.4 million in 2013, according to a statement from the city's elected Sheriff, Jewell Williams. The office, which also transport prisoners, has in the past been accused of inefficiency and favoritism in its management of delinquent property accounts. "The increase in revenue can be attributed to two changes," says Williams' office: First: a new policy "that requires purchasers of properties to make final settlement within thirty days after the sale is held. In the past, final payment could be made months after a property was sold." Second, "a new data management system which increased the speed of processing sales and collecting payments." “The faster we get paid for properties, the faster we can send delinquent taxes and municipal fees to the City,” Williams said in a statement. The payments include $22.7 million in back taxes from foreclosed properties, $8.5 million in back water bills, and $5.4 million to the city-owned Philadelphia Gas Works. Willaims also says his office has speeded up processing deeds to foreclosure buyers to "20 days or less," from "months" in the past. "People who purchase properties at sheriff sales need a deed to take possession of the property and return it to productive use," Wiliams added. Written by Joseph N. DiStefano for the Philadelphia Inquirer. PHILADELPHIA (CBS) – A Deputy Sheriff who died back in 1982 trying to stop two men from robbing a bar in West Philadelphia now has a plaque dedicated in his honor, laid in the sidewalk in front of the Criminal Justice Center. It’s the 266th Hero Plaque Dedication, but organizer James Binns notes Roy Fortson, Jr. was the first Philadelphia Deputy Sheriff to be killed in the line-of-duty, since the office was founded in 1750. His family is grateful for the recognition, including Fortson’s widow, Edna. Written by Steve Tawa for CBS News on June 1, 2014. For Helen Clowney, working with and serving the neighbors on her neatly kept, tree-lined block in North Philadelphia has been a labor of love - one that has endured a half-century. Looking out on the cherry blossoms that brighten the 2200 block of North Woodstock Street, Clowney speaks with pride of the street where she has lived her entire life and served as a block captain for 50 years. She is retiring this spring. "It's a family block. It's like family. We're very close," Clowney said Thursday. "If somebody gets sick, everybody steps in and helps," she said. "If they need something, we try to help them get it. It's just a close-knit block." Last week, Clowney was honored by her neighbors, family, and community leaders at her church, St. Martin de Porres. More than 100 people attended. Clowney, a widow who doesn't like to discuss her age, said she knew every person living on the block of 70 homes between Susquehanna Avenue and Dauphin Street. "I can tell you who lives in each house," Clowney said. And her neighbors know her for her activism, her generosity, and the whistle she blows when calling for them to participate in street cleanups several times a year. "Miss Helen is one of the icons of this block," said neighbor Paul Richards. "She's going to be sorely missed as our block captain." When it's time to clean up the block, "she gets out that whistle," Richards said. "She goes from the top of the block, blowing that whistle, and she has a few of the kids knocking on doors." When the work is done, she gives everyone a treat, Richards said, usually a pretzel and water ice. He and others said Clowney is known for organizing the street's annual Memorial Day block party. Another neighbor, Bernice Hines, also recalled Clowney blowing her whistle to call out neighbors for projects. "She used the whistle to say, 'All you lazy birds, get out here. You're a part of this block. Show your commitment to it,' " Hines said. Asked what she liked about being a block captain, Clowney said, "It just makes me feel good inside. When we have affairs in the block, we never have any trouble. Everybody is just family." Clowney noted that she has a cocaptain, Willie Mae Clark, who has worked with her for many years. "She's a very good person, and I think she should be recognized, too," Clowney said. Clowney, a graduate of Philadelphia High School for Girls who spent her life as a stay-at-home mother with one child, said she enjoyed walking children to school and back home again. Among her other interests, she said, she enjoys spending time at the Martin Luther King Older Adult Center on Cecil B. Moore Avenue, where she leads a poetry class. Clowney also likes to cut a few steps doing line dances. She said she enjoys doing the electric slide and the cha-cha slide. "The Baltimore - that's my favorite. They named that one after me," she quipped. "I taught my granddaughter, my son-in-law, and my daughter." Her son-in-law, Tony Leonard, said Clowney goes to meetings with elected officials in the community and attends monthly meetings with police at the 22d District at 17th Street and Montgomery Avenue. She describes Philadelphia Sheriff Jewell Williams and City Council President Darrell L. Clarke, who grew up in the neighborhood, as "two of my kids." She is pleased that a neighbor, Jannette Robinson, will take over as block captain. Clowney said the street also has three junior block captains, two boys and a girl. Clowney said she was stepping down because "I thought it was time enough for someone else to step up to the plate and take my place after 50 years." Hines, her neighbor, stood on her front steps and looked down proudly. "You see this block and the way it looks. It looks this way because of her," Hines said. "She has worked hard to keep it intact." Written by Vernon Clark for the Philadelphia Inquirer on May 6, 2014. Last week Sheriff Jewell Williams lead Operation Sunrise, a city wide sweep which brought in over a dozen fugitives with outstanding warrants.